Reply 'To Mr Murray Surgeon in Kirkcady concerning Miss Aytoun'. Cullen suggests bleeding rather than blistering, warming her feet, and the use of injections, rather than anodynes, for her gripings. 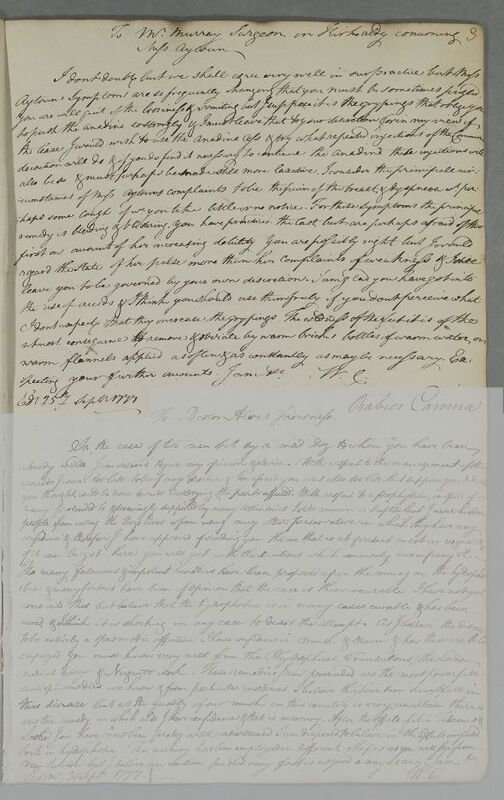 Summary Reply 'To Mr Murray Surgeon in Kirkcady concerning Miss Aytoun'. Cullen suggests bleeding rather than blistering, warming her feet, and the use of injections, rather than anodynes, for her gripings. pecting your further accounts. I am &c.